In May of 2016, New Frame Creative worked closely with Wunderbar Works founder Austin L. Church to develop a new personal website for Austin’s consulting and writing projects. Austin brought a nearly completed, beautiful design to the table and New Frame Creative helped turn that initial design into a beautiful, functional, fully responsive website. 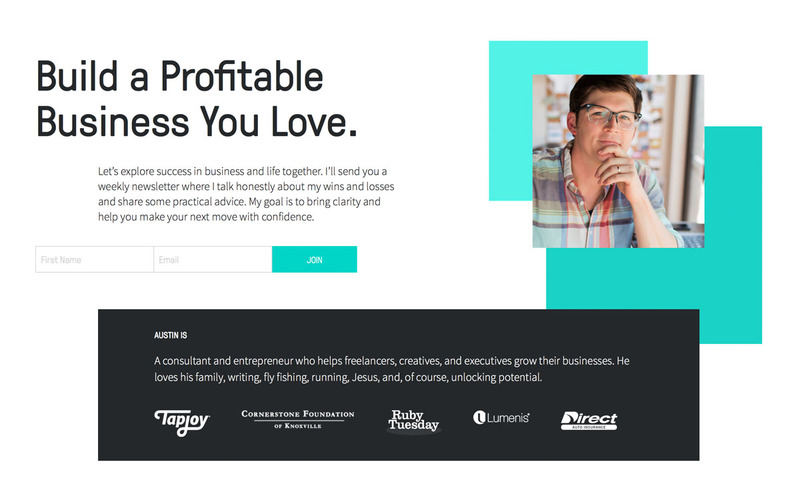 The website features multiple product and form integrations (ConvertKit, GumRoad, MailChimp, and more), custom sales pages for Facebook advertising campaigns, custom image slideshows, and a fully featured blog.